Hello everyone! 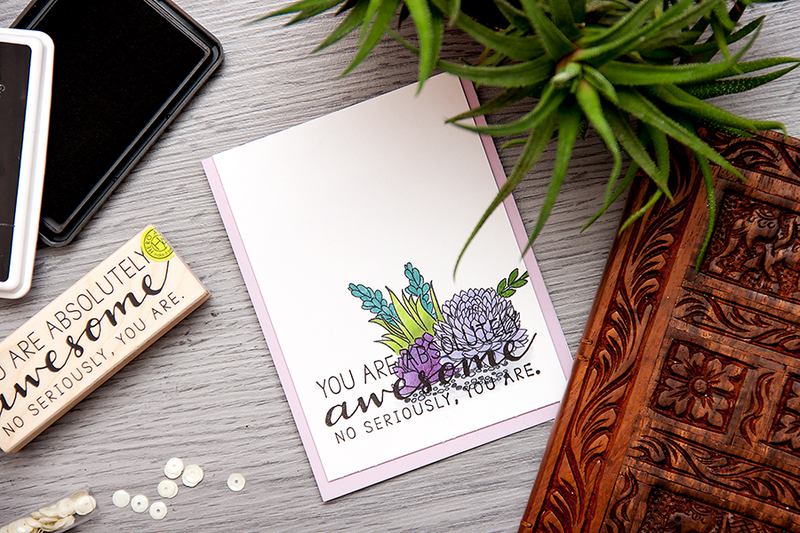 I have a quick card to share with you today, it was made using new goodies from Hero Arts – the Succulents stamp set and a fabulous Absolutely Awesome wood sentiment stamp. Love it! I did a little bit of masking to create this cluster of succulents. I started with the largest one, masked it and worked my way around it adding additional images. I love using masking – it really lets you stretch your stamps! I colored my succulents using markers, I had no idea which colors to use to I looked up some images of succulents on Pinterest; went with purples, greens and a fun green-blue color. I also added a bit of grey shadow at the bottom. 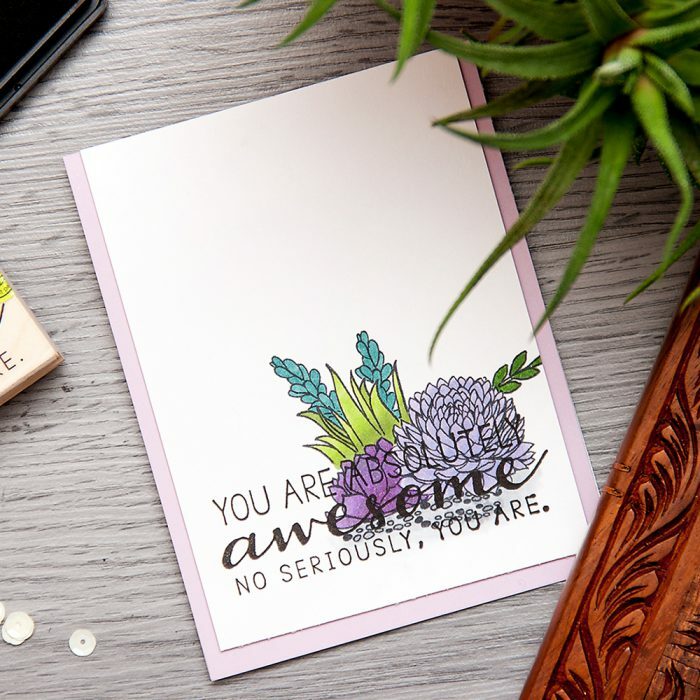 I used a fantastic You Are Absolutely Awesome. No Seriously, You Are sentiment and stamped it in black. I think it looks very trendy, love the way it tuned out! Finally I adhered my stamped panel onto an A2 top folding card base which I made using Hero Arts Mixed Floral Layering paper. So what do you think? Are there any succulent fans out there? Beautiful card–the colors–the arrangement. I really like the plants and sentiment! 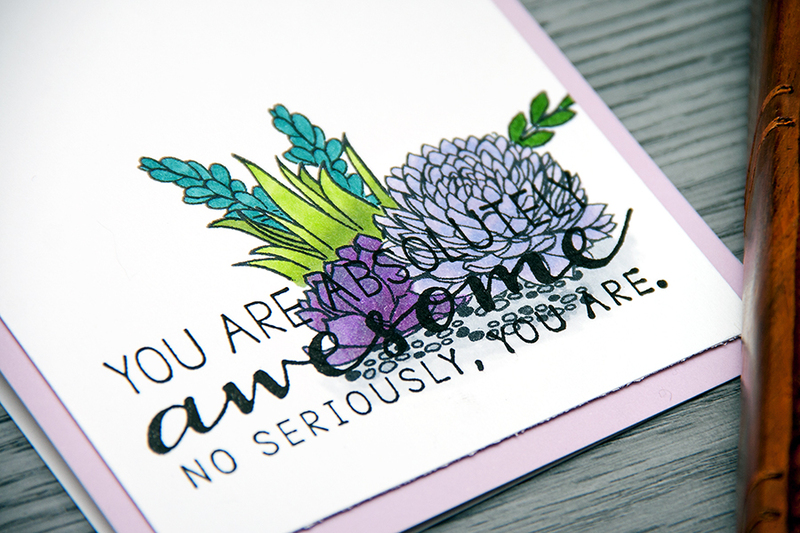 Love the colors and that gorgeous sentiment! I’m beginning to think succulents are right up my alley…to grow and create with!! Mahalo for sharing!! 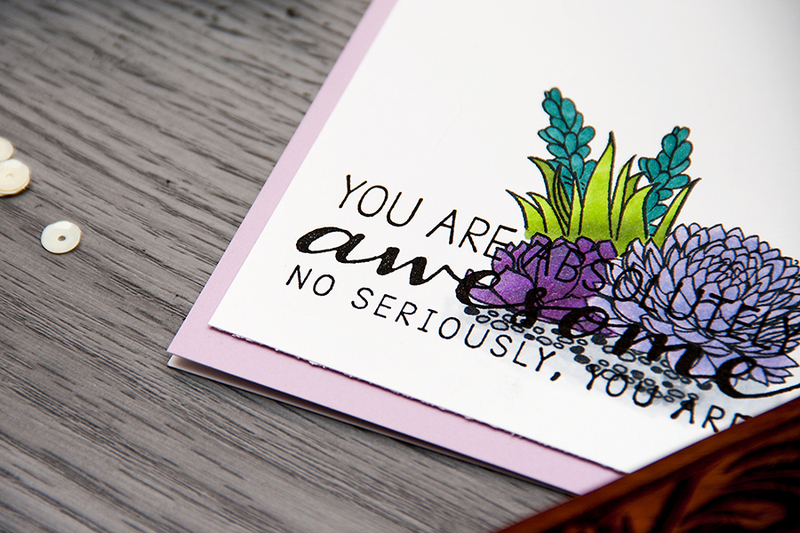 Love your card with succulents, very pretty color combo! Gorgeous card, Yana! I love the colors you used.